You would need a termite inspection in order to find any signs of a termite infestation or other problems that can contribute to a termite infestation, hopefully before they do a tremendous amount of damage to the structure. Your house should be inspected at least once a year in order to lessen the severity of a problem, should there be one. Ledford’s Termite and Pest Control Inc. offers termite and pest control services that include a yearly inspection and can help protect your home. We strive to be the best option in Columbia, Charleston and Florence area for pest control. What are common signs that my home has been infested by termites, and when should I contact a pest control company? One sign of a potential problem would be large numbers of swarmers inside the house. Eastern subterranean termites are black in color with wings and swarm normally in March and April, during the day. Formosan swarmers are tan in color and usually swarm at the end of May and into June. The Formosans swarm at night and are attracted to light. A few termite swarmers inside the house are fairly common in areas with a large amount of Formosan termite activity and might not be indicative of an active infestation. Another sign of a potential problem would be mold on the wall or small mud tubes on the wallboard. Wrinkled wood trim in door jambs, baseboards, fireplaces, or even crown molding could also indicate a possible problem. If you suspect your home might have been infested by termites, it’s best to respond quickly. Call us if your home in Columbia, Charleston, Florence area, or the surrounding area needs pest control services. Is there anything I can do besides calling a pest control company to prevent termites from entering my home before I have a problem? Make sure you don’t have a moisture problem such as a roof leak, clogged gutters, and leaks around windows and doors, wood siding, or any siding that is in contact with the ground. Moisture and wood to ground contact are very conducive to termite activity. You can also have a termite treatment done as a precautionary measure as well. You don’t haveto wait until you have an active infestation of subterranean termites before you have your house treated. In Columbia, Charleston and Florence area, pest control services like our termite treatment can prevent you from having an infestation. Is it still possible to have termites in my home if I have never seen them? It’s always possible to have an active infestation of termites and never be aware of it. Swarming termites can be a good indication of active termites, however, you might not always see swarming termites for every infestation. Where can I typically find termites in my home? Termites can get behind vinyl, hardi-plank, or aluminum siding and do a tremendous amount of damage to a structure virtually undetected. It’s important to inspect your home in the Charleston, Columbia and Florence areas; pest control services always know where termites can hide. Termites can get into the substructure at dirt filled porches, fireplaces, brick steps and other construction features that they can work in. Crawl space insulation can provide termites with a “cover” in which to work virtually undetected. Termites can also be found in door jambs, porch columns, porch railings, window sills, and the eaves of your home, especially if they are water damaged. A regular inspection from a pest control company can help you get an unnoticed termite problem under control. Are termite treatments performed by your pest control company safe for my home, family, and pets? Yes. Most of the termiticides used in our pest control services today do not have the xylenes or other emulsifiers that used to be an irritant. New generation termiticides such as Termidor have proven to be effective and safe. What types of termites are found in the Charleston, Columbia and Florence areas? Charleston, Columbia and Florence area have both eastern subterranean termites and Formosan termites; however, Formosan termites are fast becoming the dominant termite in the Charleston area. There is not as much Formosan termite activity in Columbia as there is in Charleston. Are termites likely to appear during a particular time of the year? Swarming season is early spring and early summer, however, termites are active in South Carolina year round. That is another reason why inspections for your home by a pest control company are so important. In Columbia, Charleston and Florence area pest control services that include a thorough inspection can end up saving you money on repairing termite damage any time of year. Should I be concerned if my neighbor has a termite infestation? Somewhat, but not to the point of panic. Every house has different circumstances and different conditions that would make them more likely or unlikely to have termites. To be on the safe side, you might want to contact a pest control company like Ledford’s Termite and Pest Control Inc. to inspect your home. And if you still are really concerned about it, we will perform an inspection for your house that will help prevent infestations. I have noticed a termite infestation, how long does it take before major damage is done to my home? Formosan termites can do major structural damage in one year. I have seen Formosan termites in a third floor window sill on a house that was still under construction and less than three months old. Eastern subterranean termites can be just as destructive but since their colony sizes are smaller, they usually take longer to do extensive damage. If your home is damaged, we are one of the few Columbia pest control companies that is affiliated with a licensed contractor, who can restore your home to its original state, before there was an infestation. Termites eat cellulose which can be found in wood, but it can also be found in other materials around your home. I have personally seen termites in wooden airplane props, wooden golf club heads, books, carpet and padding, the paper side of vinyl or Formica, the paper side of sheet rock and all types of wood products. Am I going to need multiple treatments or is it a one-time service? A liquid termite treatment should last at least five years. After your house is treated, it should be inspected annually by a pest control company to make sure that there are no termites breaking the chemical barrier and doing any damage. If your house is treated and a contract is issued, you would be required to have the house inspected annually by a pest control company like Ledford’s Termite and Pest Control Inc. in order to keep the insurance policy. The length of time that the termite treatment lasts depends on colony pressure of the termites in an area, the soil condition at the time of treatment, soil type (clay, sandy, loamy organic soil, etc. ), daily moisture conditions, soil movement, etc. Should you make any additions or alterations to your property, you would want to make sure that this is treated by the pest control company that has the termite contract on your home, so that your warranty is not voided. There is normally an extra charge for these kinds of additional services. 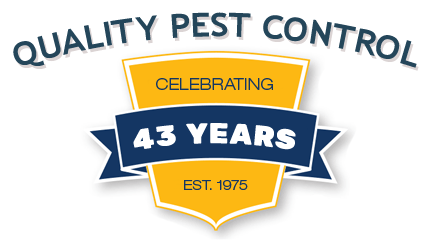 Ledford’s provides Columbia, Charleston and Florence area pest control services that include no additional charge for any retreatment after this warranty time has lapsed. Do I need to retreat for termites after 10 years? Yes. If Termidor is used, it is okay to wait for 10 years to do a retreatment. However, we begin retreating after 5 years. My opinion is you should treat your house with pest control services for termites every 5 to 10 years. Some pest control companies require you pay them to retreat your home after this period. We would do the necessary retreatment service at no additional charge as part of our regular services. Depending on construction, we either do booster treatment or full retreatment if necessary. Some companies will cancel your termite contract if you do not pay them to do the necessary booster treating after 5 to 7 years. How long does it typically take pest control services to remove termites or other pests from my home? An advanced infestation of termites can take several weeks to be completely controlled. If there is an above ground moisture source, they may live longer. Does homeowner insurance cover termite damages? Homeowner’s insurance does not cover insect damage. Termites do more damage to homes than earthquakes, hurricanes and tornado combined. How much do your pest control services for termite treatments cost? Every house is different. There is not a set price. The pricing depends on square footage, whether the house is a crawl space, monolithic slab or a slab poured to a block, and also whether the house has ever been drilled and treated before and if it has been treated up to current state standards. Pricing may vary from one company to the next due to the termiticide that is used as well. 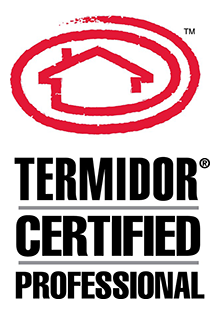 Ledford’s uses Termidor 80WG for its pest control services. This is the most expensive termiticide, however, we found it to be the best for our pest control services. There are a number of other termiticides that pest control companies use, but they are much cheaper than Termidor and in my opinion not as effective. We want to use the best chemicals available for our pest control services. The treatment price includes the treatment and the first year’s guarantee. The annual renewal will be due one year from the date of the treatment and the cost for that varies as well, due to the above mentioned reason. We will be happy to come out and give you a free estimate with no obligation. Our termite treatment prices may not be the cheapest in town but our treatments are “as good as it gets”. 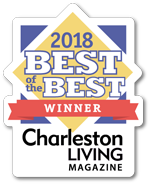 We have been a family and locally owned business since 1975 and we will be here to stand behind our work in Columbia, Charleston and Florence area for pest control services. We pride ourselves on our customer service and have built our reputation around that. Is there a warranty or guarantee with the termite services at Ledford’s Pest Control? We are currently backed by Weisburger Insurance Brokerage which has been in the pest control industry nationwide and exclusively for over 50 years. We have found them to be very knowledgeable about our industry and they handle any claims in a very timely manner. We have a damage contract for homes that qualify and a service agreement for those that have either a construction feature or a moisture issue that prevents us from offering a damage contract. There are a number of companies that have been around for five years or less or that have changed ownership several times that make fantastic claims that they can’t or won’t back up when it is all said and done. Ledford’s Termite & Pest Control, Inc. was started by the Ledford family and is still run by the Ledford family. Some local companies have been around along time with the same name, but have changed ownership several times. Typically there are several companies each year that come into the area and then they are sold or simply go out of business.